Figure 1 from the white paper: Great Salt Lake showing its major bays and the relative contribution (%) of each of the major river inflows. The white line shows the lake margin at its average natural elevation of 4,207 feet and the July 2015 NASA photograph shows the lake at near record‐low levels, exposing half of the lake bed. The Great Salt Lake is shrinking and we only have ourselves to blame. That’s the message of a new white paper released by Utah State University last week. The water level of the Great Salt Lake is constantly fluctuating, both seasonally and from year to year as we cycle through periods of wet and dry, but that’s all just background noise to a distinct drying up trend over the past 150 years. Craig Miller, an engineer with the Utah Division of Water Resources, created a virtual model of the Great Salt Lake for the paper -- a hypothetical version of what the lake would look like today if we hadn’t been drawing it down since the days of the state’s pioneers. He calls this hypothetical level, the “natural” Great Salt Lake level. To figure out how much water would be in the lake, they started with historic lake levels from 1847. “We continued to add flows into the virtual lake equal to the amount of human depletions estimated for that year,” says Miller. Craig Miller's natural Great Salt Lake Levels: Observed level of Great Salt Lake (dashed red line). The solid blue line shows a model of lake elevation in the absence of consumptive water uses. Averaged over the last 10 years, water use has lowered the lake 11 feet and decreased its volume by 48 percent. Today’s volume is about 9 million acre feet. At 4204.5 feet, which is the elevation of the surface of the lake with that extra 11 feet, the lake’s volume would be over 19 million acres. That’s an increase of 48%. “The volume would be close to double,” he says. But more than a fun math problem, this paper has some very real warnings. Climate reconstructions have shown that there hasn’t been any dramatic decrease in natural water supply to Great Salt Lake over the past century and a half, so the lake is half the size it’s supposed to be solely because we’ve used that water on our lawns and fields and evaporation ponds instead. A dried up Salt Lake would spell dangerous dust storms for the Wasatch Front and dry up over a billion dollars in annual income to the state. It would also be disastrous for millions of migratory birds. But, if you’re not a birder or a brine shrimper, why should you care that the lake is half dried up? 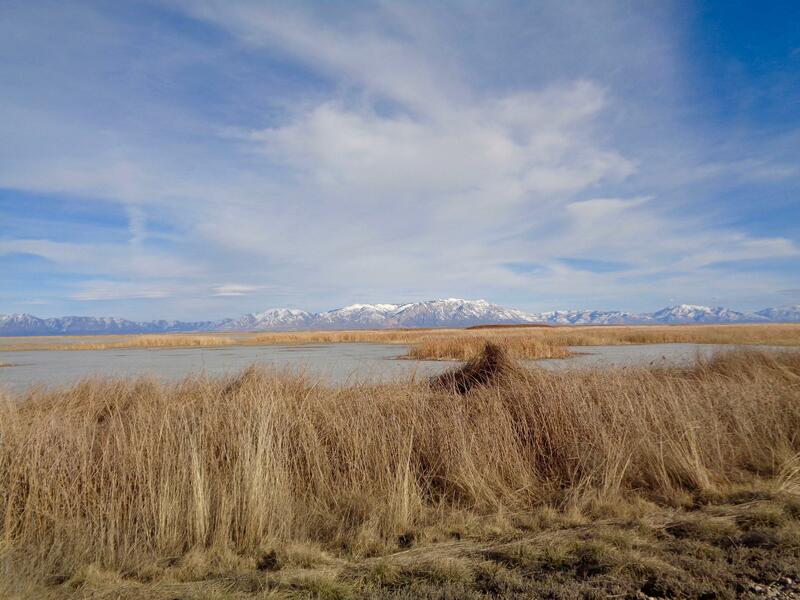 “I think a lot of Utahns benefit from the lake without even knowing it,” says Josh Palmer, spokesperson for the Utah Division of Water Resources. On the day that this white paper on the Great Salt Lake was released, Senate Bill 80 was heard by the Utah House Revenue and Taxation Committee. This is a bill that would take tax dollars currently reserved for transportation projects and set it aside instead for water infrastructure projects: Three projects specifically, one of which would divert more water out of the Bear River so that even less of it reaches the Great Salt Lake. The Bear River meets the Great Salt Lake at the Bear River Migratory Bird Refuge. The Bear is the largest source of fresh water to the lake. This Bear River Development Project is estimated to decrease the lake level by another eight and a half inches. Senate Bill 80 passed out of the House Taxation committee and several committees before that. It’s on its way to a floor vote and if it passes, there will be a fund with a couple hundred million dollars in it, earmarked for developing the Bear River, which according to the Division of Water Resources, isn't going to happen anytime soon. 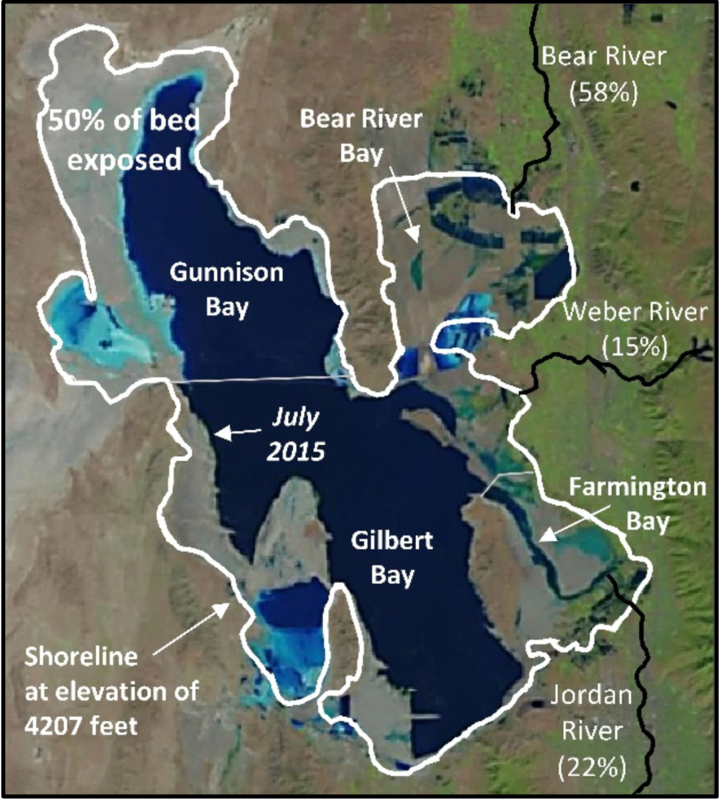 If we can hypothesize a lake without humans, we can hypothesize a Utah without politics, so SB80 aside and the Bear River Development Project aside, what can be done to help turn the downward trend of the lake around? But you have to care about the lake in the first place, or else the warnings in this paper are completely lost. So, Palmer says the Division of Water Resources wants to tie these facts to things people already care about. A proposal that might ultimately end up funding large water-infrastructure projects like the Lake Powell and Bear River pipelines advanced out of a House committee Wednesday evening. The end of 2015 saw the north arm of the Great Salt Lake dip down to its lowest recorded level. UPR’s Jennifer Pemberton tells us that depending on what happens this winter, the rest of the lake might get down there too.